Their groundbreaking second album, “Move”, features more original compositions than its predecessor and shows the brothers expanding their musical horizons, incorporating a variety of instruments beyond the tsugaru-shamisen and exploring numerous disparate musical influences. One song features the otsuzumi, a small taiko (Japenese drum), while three songs showcase a cajon – an Afro-Peruvian hand drum popular in Spanish flamenco music. 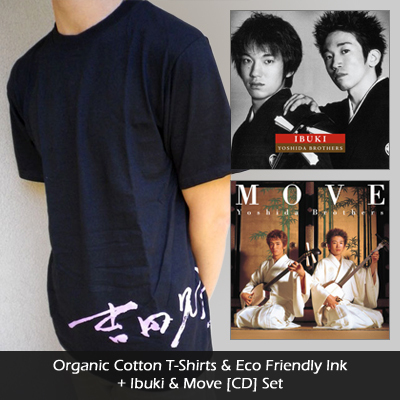 The release of Move proved that Ibuki was no fluke, and Yoshida Brothers were capable of producing musical masterpieces that bridged the sounds of old and new Japan. Using the traditional tsugaru-shamisen in a contemporary manner, the Yoshida Brothers produced an original sound that distinguished them as true musical visionaries. Special Promotional Price! $56.94 => $28.98 until May 30th! Follow Yoshida Brothers’ SNS accounts! 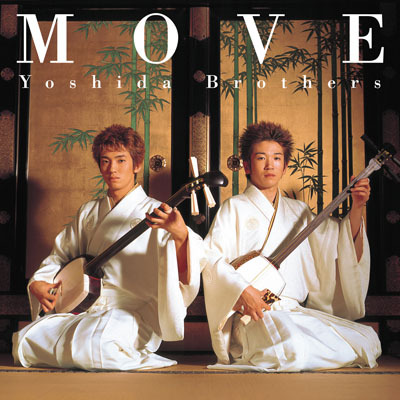 This entry was posted in Yoshida Brothers and tagged 15th Anniversary, 2nd Album, japanese, Move, Shamisen, world, YB, Yoshida Brothers, 三味線, 吉田兄弟. Bookmark the permalink.